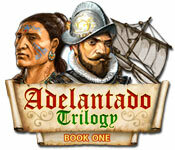 Adelantado Trilogy: Book One is rated 4.1 out of 5 by 185. Rated 5 out of 5 by AWM_Mars from I loved this so much, I played all three levels over and over. I loved this so much, I played all three levels over and over. The animations and scenery is both detailed and looked good on my 4K monitor. I actually enjoyed the background music and didnt turn it down/off once. The running plot is one I actually read, as opposed to skip eachtime on most similar games. You have to pay attention to every detail, it easy to miss a small 'gem' along the way which becomes important by the time you reach the finale, which then treads water, so you have to search everywhere. For my money, it is good entertainment that I can play over and over. Each level is quite big and lots of side caves and adjoined lands, would have liked a Map, to catch my bearings sometimes. Rated 5 out of 5 by DoritS from Very entertaining strategy game Found it in the Time management section. The storyline made it an entertaining play. Rated 5 out of 5 by Bumbles2 from Beautiful and brilliant and relaxing...its got it all !!! This series is absolutely wonderful...I played all 3 demo's and knew instantly I had to buy them all !!! 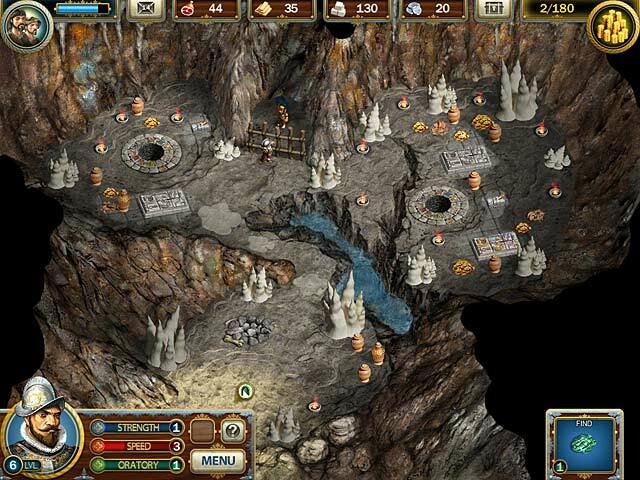 This is an adventure type of game...as Don Diego De Leon you progress through the levels trying to find your lost expedition. Each level you encounter various Natives who are asking for your help...in return they give you directions to your goal or things that you could use during your adventure. 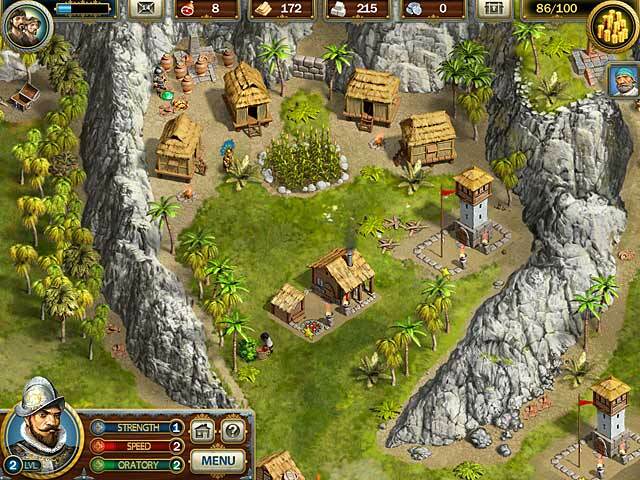 You're kept busy looking for treasure and secrets...you also have to gather resources ... this can be done by erecting the various buildings that supply you with a said item or finding items in forests etc !!! I absolutely loved this game...it has a little bit of everything in it...secrets...quests...and treasure plus many more things I forgot to mention here LOL I could go on and on about the various things to do during each level. The fun factor was definitely there...I can honestly say that I discovered something different in each leve... I especially loved the secrets..which was exciting to find !!! The graphics are superb...and the artists need to be congratulated on a job well done !!! There is definitely some challenges you'll encounter....just sit back and assess the situation...when you do that it will become clear what you need to do. Loved the story and it was easy to follow too. The music was lovely and it fit well with the native polynesion content. I know I'll be playing this over and over again...I had a great time playing each and every level. I hope you all enjoy this game as much as I did !!! Safe travels all ! Rated 5 out of 5 by jotretam from Best trilogy ever This is the most exciting series I have ever played. I have played each one numerous times and never get tired of it. I hope there will be more like this, I will defiantly buy them. Rated 5 out of 5 by zoldie from want more of this type of game Played 1, 2, and 3 of this game! Loved all of them!!! Want more of this style, not just dashing around, but a story. Rated 5 out of 5 by RosyinKy from I want more of this type of game I am totally in love with this game trilogy. I would love to see more games like this available. I was hoping there was a Adelantado Four out by now or another trilogy adventure in the same format. Discover the fabulous secrets that a jungle hides in Adelantado Trilogy: Book One! 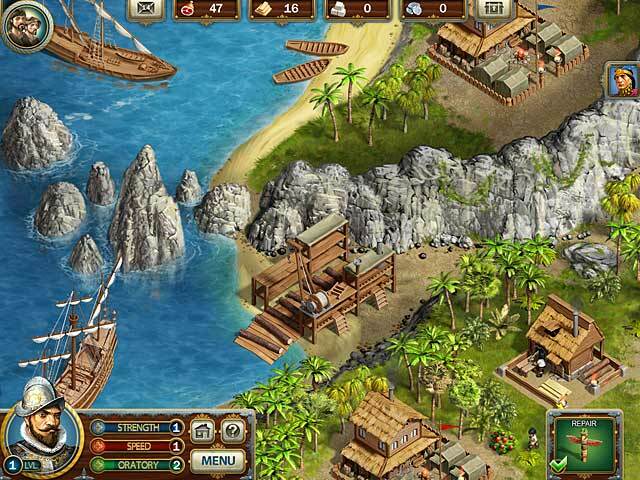 Help the brave and noble officer, Don Diego De Leon, to find and save the lost expedition.